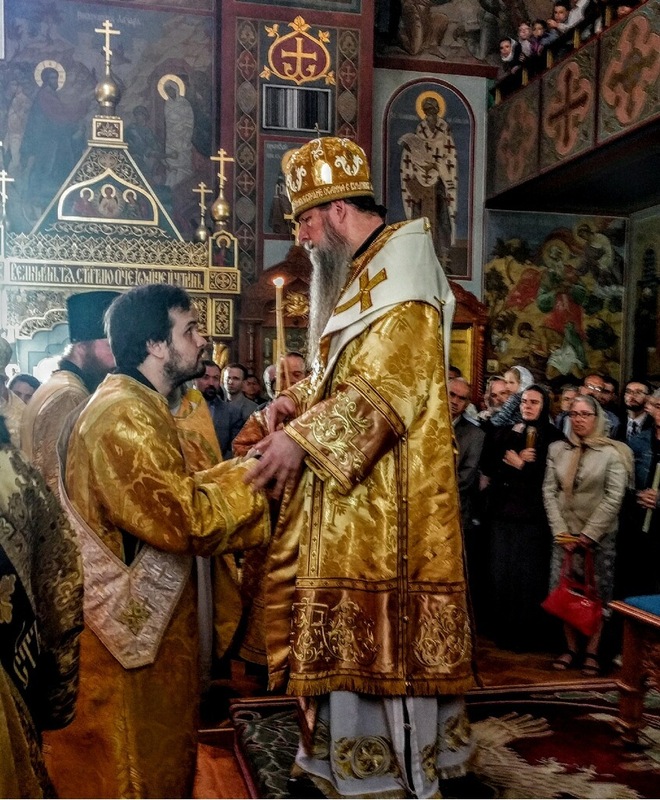 On July 1st, at the celebration of our father among the saints, Holy Hierarch and Wonderworker John of Shanghai and San Francisco, two of our clergymen received awards from our Archbishop KYRILL. Father Deacon Andrew Gliga was awarded the right to wear the double orarion in recognition for his years of dedicated service to the Church. Father Martin Person was appointed Dean of the San Francisco Deanery and was awarded the gold cross and palitsa - being elevated to Archpriest. Congratulations to Fr Andrew and to Fr Martin... may God grant many more years of service to His Holy Church!